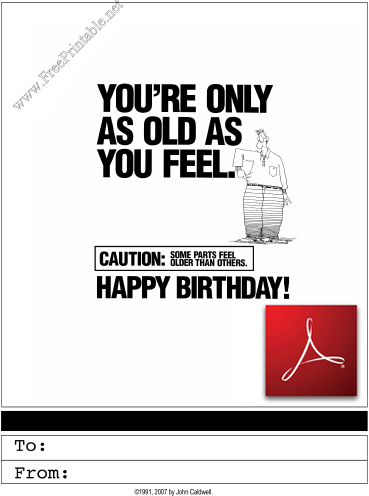 Each greeting card is available in two versions: a free version and a $4 Premium version. The free version (below) is a PDF file (which you can view and print with Adobe Acrobat.) You can't change it, and there's a small watermark with our URL in the upper-left corner. The $4 Premium version (shown below) doesn't have the watermark. In addition, you get two versions of the file: PDF and Microsoft Word (.DOC) formats. The text area of Word version can be edited, so you can type names in the From: and To: fields, or type your own special message in that section. You can pay using your PayPal account or credit card. 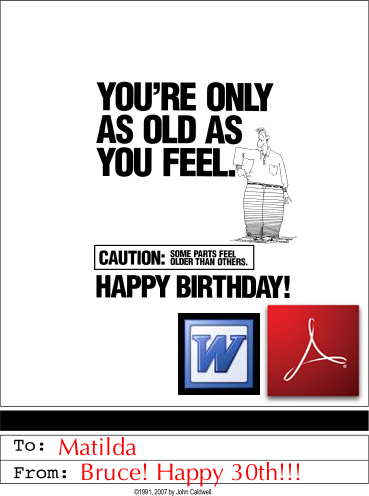 You'll be able to download the customizable Greeting Card within moments. The paid versions require Adobe Acrobat Reader or Microsoft Word.